In an excerpt from his book entitled, The Complete Root Cellar Book, Steve Maxwell has put together a handy guide to storing 50 fruits and vegetables in your root cellar. 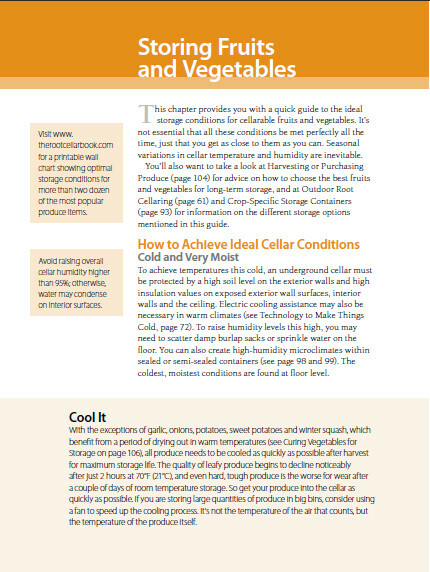 To download a PDF version of Steve’s Guide to Storing Fruits and Vegetables, click on the image. How do I get rid of condensation and mold forming in my cold cellar?